Profit in Your Paint Booth: Who are You Buying From? 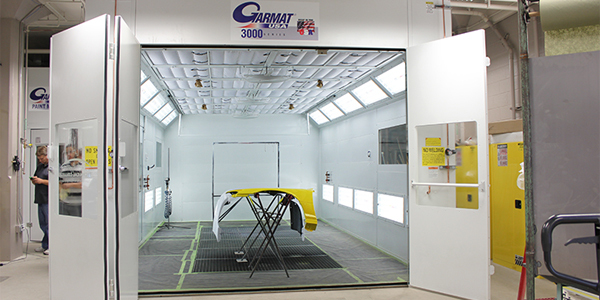 A spray booth is the only capital expenditure in a body shop, and is probably the most important equipment purchase a body shop will make. What else is going to wow the customer by producing a beautiful paint job? So it goes without saying that making the choice of what to purchase is critical to your business success. Distribution – Does the manufacturer offer support before, during and after the sale? Performance – Look for features that enhance productivity. Installation – Be aware of hidden costs, and also be careful that you’re not trading a lower equipment price for higher installation costs. Reputation – Get an unbiased opinion from your peers. Talk to other shop owners and ask what equipment they recommend. Ease of Maintenance – Longevity of your equipment is tied to preventative maintenance. Simplified procedures can lengthen its lifespan. For more information on Garmat USA, visit www.garmat.com.